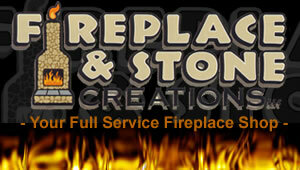 Fireplace & Stone Creations of Ferrysburg Michigan. 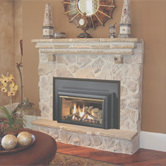 Fireplace & Stone Creations of Western Michigan. Serving Muskegon, Holland, Grand Haven, Spring Lake, Grand Rapids and surrounding areas. Time after time, Napoleon® has led the way with new and innovative, patented technology. We are proud to say that our products continuously surpass industry standards and our inspiration is you! More than anything we want you to feel confident in choosing Napoleon® for your home. Our products are designed to provide that confidence and ensure that every Napoleon® is beyond compare! cozy heat with a stunning YELLOW DANCING FLAME® pattern! 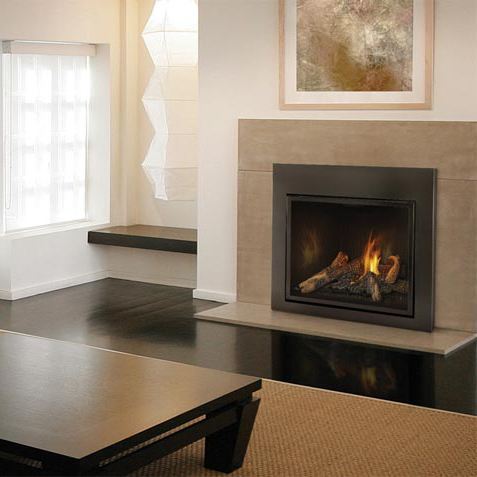 With a 682 square inch viewing area, the STARfire is a one of a kind fireplace that you will be proud to show to family and friends! The perfect fit for great rooms and larger family rooms. Rekindles the romantic era when sitting by the fire melted away the chills of the world outside. The traditional aesthetics provide an exceptional, unobstructed viewing area with a frameless finish. 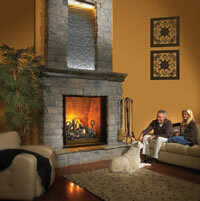 An open look of a real wood burning fireplace emerges with all the conveniences of direct vent technology. This exclusive fireplace comes fully equipped with a multi-function hand-held remote control (adjusting flame, heat, blower and exclusive Night Light™), elegant solid cast iron andirons and grate, heat circulating blower, safety pull screen and advanced burner technology. All this and the choice of either a wrought iron faceplate or a traditional arch or rectangular door design to complement your decor. 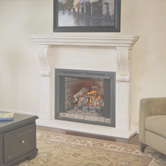 or to view the whole line of models check out the NapoleonFirePlaces.com. Years of research, strict quality testing and patented wood burning technology have surpassed critical standards, providing you with the cleanest, most efficient wood burning inserts. Napoleon® regularly exceeds EPA (Environmental Protection Agency) standards, making a difference in keeping our environment clean. A renewable energy source, environmentally friendly, economical, convenient... these are just some of the reasons a Napoleon® insert is the perfect solution to heat your home. 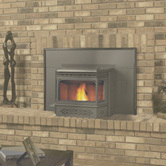 The insert easily converts your existing, drafty, masonry fireplace into an efficient, reliable heating source. Each model gives you uncompromising pellet performance year after year with the comfort of knowing you have selected a product made with true craftsmanship and advanced technological innovations. Napoleon's FIBERGLOW™gas log sets create the ambiance your home deserves with our exclusive PHAZER™ log sets and PHAZERAMIC™ burner that are so realistic they look like a natural wood burning fire. 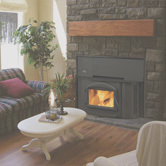 Our unique burner technology creates infrared heat from the glowing logs that radiates warmth directly back into the room. 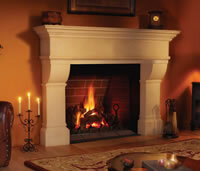 Add relaxation, comfort and warmth to your home with the simplicity of a superior gas log set.